1. 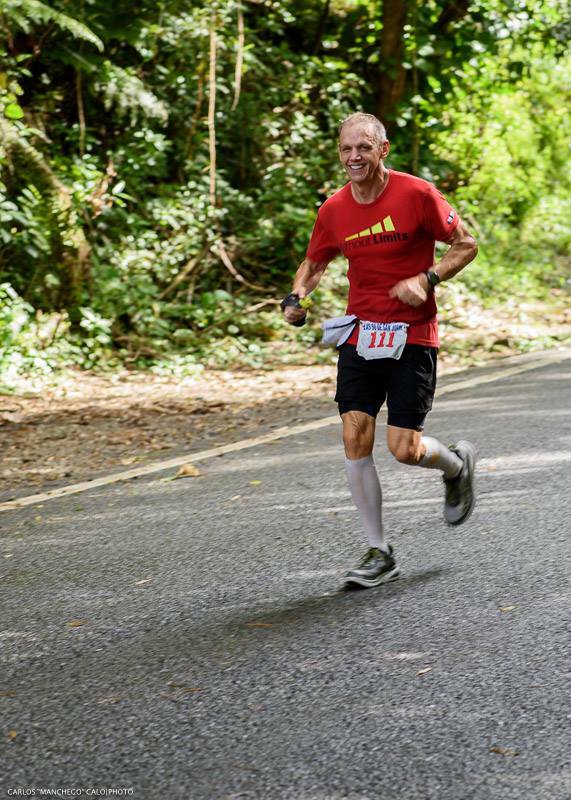 The starting time for 50 Kilometers Endurance Run is at 11:00AM Saturday, December 2, 2017 in El Yunque National Forest in PR-988. “El Puente Roto” in the border of Rio Grande and Luquillo. 2. Pre-Race Check-in is required for all runners. All signed waivers must be submitted by then and all participants have to be present at check-in. No Exceptions. Pre-Race Check-in is only between 10AM to 6PM Friday December 1, 2017 in the Department of Sports and Recreations main office in the indoor basketball court. Please contact us for additional information. 3. All runners after submitting signed waivers will obtain their race package and bib number. 4. Runners must check in on race day before 9:00AM in San Jorge Children’s Hospital in Calle San Jorge in San Juan for transportation to the start line. If a runner does not need transportation, it must be reported in writing to the race directors. Runners that choose their own transportation to the start line must be at the start line by 10:00AM. Please view Route Directions for GPS coordinates for San Jorge Children’s Hospital(Race Finish Line) and the Start Line(Aid Station #2 – Puente Roto in El Yunque). · Headlamp or flashlight for night vision. · Reflective vest or belt. · Blinking lights(for front and back side of runner). 6. No Drop bags option for 50Km event. · Mile Marker 9(AS#3): Before 1:30PM. · Mile Marker 18(AS#4): Before 3:30PM. · Mile Marker 24(AS#5): Before 6:00PM. 9. If a runner does not arrive at a check point within the cut off time they will be officially removed off the race. If a runner continues or remains in the race their finish time will not be considered by the race director nor he/she will be considered as a runner or “finisher” for purposes of the Official race. 10. All runners must wear their race bib number in the front of the body, unmodified and visible at all times during the race. It may not be worn on the head or hat. 11. The clock does not stop for any reason until the race course officially closes for the 50 Miles Event(approximately 9:00PM). After the official closure of the event any remaining runners in the race will be officially off the race for all purposes. Their total mileage will be posted and their efforts will be admired by all. 12. Runners are required to proceed with caution at all times during the race. Running must always be in single line on the left side of the road facing traffic (pacers too). When sidewalks are available we strongly recommend using them. 13. Pacers are not allowed at any point of the race, except at the finish line. It is strictly forbidden to run next to a runner that is not registered in the event. Violation of this rule, will result in immediate disqualification. Only runners with special needs can request a special permit for a pacer. 14. Runners must make sure the volunteers at all Check Points/Aid Stations located along the route have registered their bib number. Runner arrival times at Check Points will be recorded. Any runner not accounted in any check point will be disqualified. No exceptions. 15. The race Officially starts in El Yunque National Forest in PR-988. “El Puente Roto” in the border of Rio Grande and Luquillo AT 11:00AM SHARP. 17. Individual Runners are not allowed to be followed along the course by a crew vehicle(s) or bicycle(s). Individual runners may have friends and family meet them in public parking lots along the route and in the finish line. 18. All runners must sign the Accident Waiver and Release of Liability and submit the waiver with a legal identification when checking in at the expo on Friday. Any runners without a waiver will not be given a bib number. No exceptions. 19. 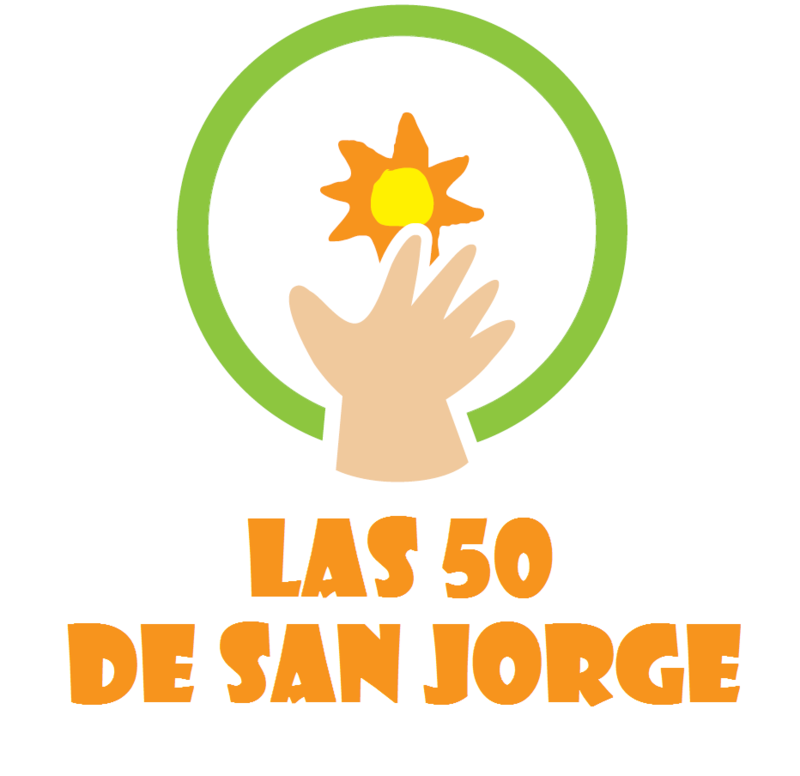 All participants, family, and friends are strongly encouraged to make a donation to San Jorge Children’s Foundation. 20. During Race Check-In, all entrants must display their headlamps, and blinking lights - which will be worn and utilized by the runner during nighttime periods of the race. Runners without satisfactory quality, or quantity, nighttime safety equipment will not be allowed to participate in the race. 21. Individual Runners are not allowed to have a vehicle or support crew following them along the race course. They may have support crew stationed in public parking lots along the route. Individual runners are not allowed to enter inside a vehicle. Any individual runner seen inside a vehicle will be disqualified. If an individual runner has a support crew in a public parking lot, they are allowed to be seat in a chair outside the vehicle while getting assistance. 22. Wheeled conveyances (other than a motorized support vehicle), including in-line skates, strollers, and bicycles, are prohibited on the course at all times. Runners accompanied by any such conveyance will be disqualified. 23. Remember, at all times and in all situations, safety is the most important issue. This means safety for racers, crew, staff, and the general public. The roads are not closed for this event and are, in fact, quite busy with local traffic. 24. After 6:00PM all racers must wear reflective material facing in all four directions, as well as blinking red lights facing front and rear. Also a headlamp is required for safe visibility. Disqualification will be enforced for any runner or pacer who flagrantly disregards nighttime running rules and common sense on the roadway. 25. If a racer withdraws, he/she or his/her crew must notify the nearest aid station immediately. Name, reason for withdrawal, time of withdrawal, and miles completed will be recorded by the aid station staff. Runner will be picked up by race officials and brought to the finish line. 26. All Emergency Evacuation costs for participants or crews will be borne by that person or their heirs. The race organizers are in no way liable or responsible for emergency evacuation. 27. Major rule infractions by racers, especially those regarding "cheating," will result in immediate disqualification of the racer. 28. Any of the Race Officials have the authority, at any time, to remove off the race a runner if they think that their health is at risk if they continue running. There is no "appeals committee" nor an "appeals process." All entrants in the race, and their support crews, willingly acknowledge this fact, as well as all other race rules, by attending the race in any capacity. 29. Any of the Race Officials have the authority, to disqualify if they find a runner or their pacers not complying with any of the above mentioned rules. There is no "appeals committee" nor an "appeals process." All entrants in the race, willingly acknowledge this fact, as well as all other race rules, by attending the race in any capacity. 30. In all cases and circumstances, it is the intent, and spirit, of the rules which will govern their implementation and enforcement.